The rapid growth in industrialization and globalization in the past decade led to the increased demand for well-trained professionals in business management. The first step you can take to opt for this business profession is by opting for Bachelor in Business Administration (BBA) degree after completing 10+2. Most of the people complete their normal degree in different streams like science, arts and then pursue MBA in order to become a trained professional. But the right way to get the required skills and become successful is by doing a Bachelor in Business Administration. Bachelor of Business Administration is an undergraduate course which can be pursued by the students who have completed their 10+2. The base of the complete course lies in commerce and is considered as a management-oriented course. The course duration of BBA is three years which are divided into semesters internally. The main aim of this course is to enlighten students about management education so that they can develop leadership, communication, managerial and leadership qualities. It is also called with various names in different states.  Supply Chain Management, etc. This is the right place for the undergraduates who are planning their career in business administration. We have compiled a list of best BBA Colleges across India. If you are seeing yourself as a top executive working for a big company or as a business leader, then there are a lot of colleges pan India who will provide the best education and help you in becoming the top business administrator. 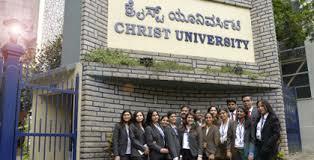 Christ University has emerged as a brand for business management courses. It was formerly known as Christ College. This is an autonomous college affiliated with the colleges in Bangalore. The program offered by Christ University has been ranked as best by many ranking agencies. Another achievement of Christ University is it is the first college in Karnataka which has been accredited by National Assessment and Accreditation Council. 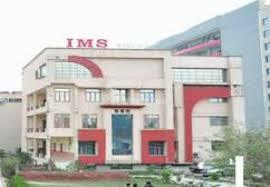 IIM Indore is known as a pioneer of integrated courses. Here they offer 10+1 candidates a year course which deals with both BBA and MBA. This is the first five-year integrated program in management (IPM). This is the best chance to bag a seat in IIM without appearing on any CAT exam. will appear for personal interview. 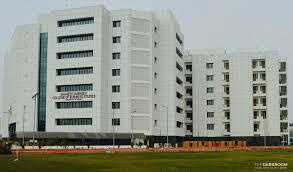 Shaheed Sukhdev College of Business Studies is a premium education institution of Delhi University. It is the best college with low fee structure, high placements, and great learning abilities. 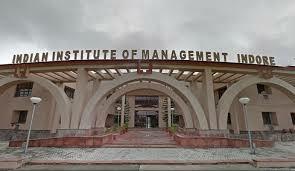 The college has established itself as the leading undergraduate management school. ASMSOC is a well-known institute in Mumbai offering 3 years of BBA course integrated with 2 years of MBA course. Students have an option to quit after three years of BBA course. The course offers high employability and provides the industry with perfectly crafted young managers. The selection of candidates for BBA is done through an exam named NPAT BBA. 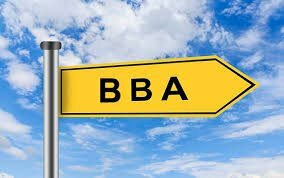 BBA degree program was launched in July 2004 and since then the course has evolved as the best by changing in accordance with the industry standards. 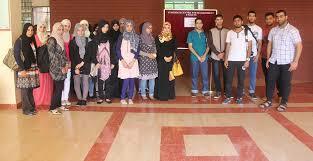 The students have given the choice to select the elective courses from various kinds of approaches present in it. It also provides students select courses that are offered from six different streams offered under BBA. Students can even go to foreign for semester exchange on Global Immersion Program (GPI). Candidate should pass the Symbiosis Entrance Test, personal interview and writing ability. Nirma University offers five years of integrated BBA+MBA course. The world-class education at Nirma University produces the tailor-made professionals that are perfectly suitable for the industry. 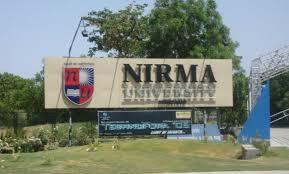 The application process of this Nirma University is divided into two categories, one is All India and NRI Category and the other is Gujarat State Category. 20% of the intake in this university is done from Gujarat Board. The candidate should pass from any school that has been recognized by Nirma University in Gujarat with a minimum of 90% aggregate and the weight of this exam results is 70 % whereas the weight of performance in a personal interview is 30%. 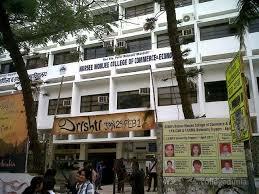 Narsee Monjee College offers three years of graduate training in business administration in the name of BMS. The BMS course provides the students with all the skills that are required for them to achieve big in their life. are based on the merit criteria of the students in 10+2. This is the exclusive institute for women. The three-year business management course is named as BBM(Bachelor of Business Management). The course helps in creating the best marketing managers who are perfect for the industry. The quality of education provided at this institute is quite commendable. The selection into this college is made on the basis of merit. This is an exclusive university for women offering a three-year full-time course for a bachelor of business administration. The university is well known for its quality education and best in class support for the students. The course enhances the communication and soft skills, business management skills of the students and makes them industry ready. The three year Bachelor of Business Administration offered by this institute is of the best quality and focuses on identifying and solving the problems at both local and global levels. They provide best management courses to both undergraduate and graduates. shortlists the candidates and then conduct an entrance test named as Joint Entrance Test. college is of top notch with various kinds of specializations. Placements are another asset of all these colleges as they offer guaranteed placements.